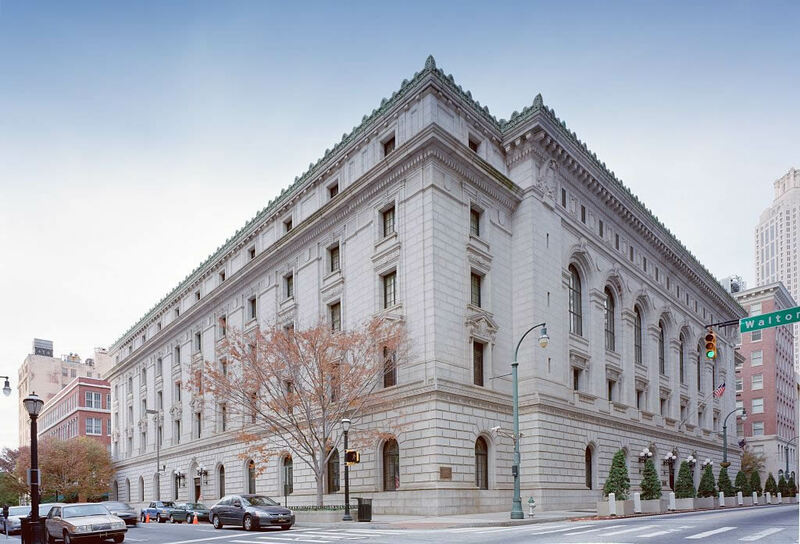 Located in Atlanta, GA, the Eleventh Circuit Court of Appeals hears federal cases that arise from the federal district courts of the Middle District of Alabama, Northern District of Alabama, Southern District of Alabama, Middle District of Florida, Northern District of Florida, Southern District of Florida, Middle District of Georgia, Northern District of Georgia, and the Southern District of Georgia. The Eleventh Circuit has strict standards for the printing and filing of appellate briefs, and these standards differ from those of the other federal circuits. The starting point for a filling is, as always, the federal rules of Appellate Procedure. 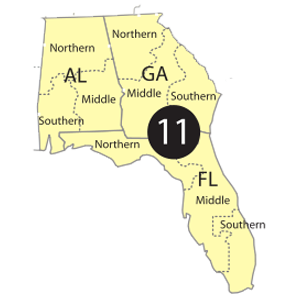 From there, the rules are modified by the local rules of the Eleventh Circuit. Two copies of each appendix volume must be submitted with one service copy to each party. The D.C. Certificate requires a specific certificate after the cover, a statements of the rulings under review, and indication if there are related cases. The table of authorities should place an asterisk next to the most important authorities on which the brief relies. All abbreviations must be explained in a glossary placed after the table of authorities. There are numerous other requirements on the contents, and section order of the brief.